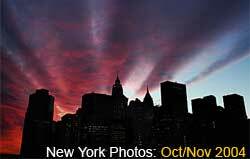 New York City Photos: November 2004. Galapagos theatre/bar, 70 N. 6th St. Kill All Yuppie Artist Scum!